Discover the surprisingly simple truth behind extraordinary results. 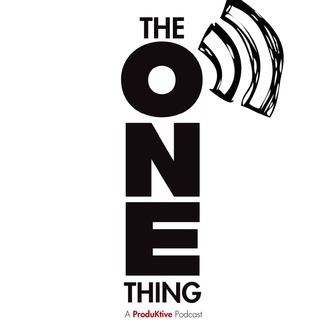 Learn how the most successful people in the world approach productivity, time management, business, health and habits with The ONE Thing. A ProduKtive® Podcast. Have you ever felt like you desperately want your situation to change... but no matter how hard you work, you just feel like you’re drowning? There are these periods of our lives when, no matter how much action we take, we feel overwhelmed, and we just wish that we could take back our lives. We’re ambitious, we’re driven, but that just doesn’t feel like enough to get any forward momentum. This is especially true when we have kids, because honoring work commitments and being present as a parent is a monumentally difficult task for even the most extraordinary people. That was how Casey Gocel felt, until she started living The ONE Thing. In this episode, Casey shares the story of how she struggled to strike a counterbalance in her life after having her first child – and how things started to change when she started doing just ONE thing differently; ONE thing that’s truly made everything else in her world easier or unnecessary. Wherever you are, whatever you are dealing with in your life, understand that it doesn’t have to be that way. You can make amazing changes in your life – and it doesn’t have to take that long! The path to getting everything you want is to get ONE thing at a time. So start by identifying the ONE thing that will make everything else easier or unnecessary, and start focusing on that lead domino until it falls. Over time, as you can hear in this episode, it truly leads to extraordinary results (as long as you can overcome the distractions that try to steal your focus). AWESOME FREE RESOURCES FOR YOU! Hiring is challenging, but there is ONE place you can go where hiring is simple, fast, and smart – and that place is ZipRecruiter.com/ONEthing. Most of us who are in a hiring position would love to always be getting into relationships with top talent, but there’s so many other priorities that compete for our time. That’s what we love about ZipRecruiter: they find the right job candidates for you, and 80 percent of employers who post a job get a qualified candidate in just one day. 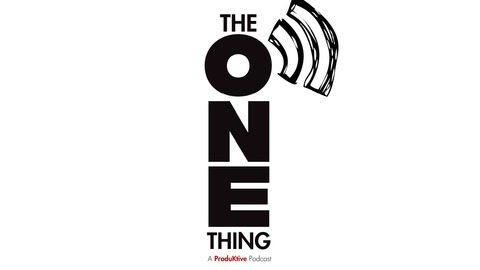 ZipRecruiter is inviting listeners of The ONE Thing to try for FREE – all you have to do is go to ZipRecruiter.com/ONEthing.